Container spot rates continued to slide this week as capacity issues threatened the stability of the Asia-Europe trade. And on the transpacific, a trade war appears to be on the verge of breaking out between China and the US. This week’s Shanghai Containerized Freight Index (SCFI) saw European components tumble by 5% for North Europe to $704 per teu, and by 2.3% for Mediterranean ports to $650 per teu. Spot rates on the route have now fallen for four consecutive weeks, following Chinese New Year, and several carriers, including CMA CGM and Hapag-Lloyd, have already discounted their FAK rates as they struggle to fill their ships. Analyst SeaIntelligence calculates that ocean carriers have 8.8% more slots to sell for North Europe this year, compared with 2017, and 6.5% more capacity on the Mediterranean. It said that in order to achieve a “more modest” 5% growth, which is more in line with the consensus estimated demand increases, carriers would need to pull some 9,300 teu per week of capacity to North Europe. On the basis that the average size of vessel deployed on the trade is 15,100 teu, SeaIntel suggested that it would be necessary to blank 7.4 sailings over a 12-week period to return to a state of equilibrium. 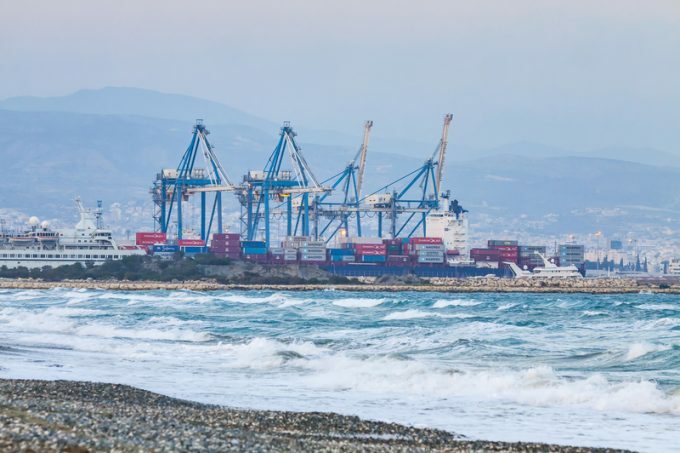 For the smaller Mediterranean trade, where the average vessel size is 11,200 teu, the cull would need to be less severe, said SeaIntel, with the supply-demand rebalancing requiring a reduction of around 2,000 teu per week, equating to voiding 2.2 voyages over a 12-week term. And on the transpacific, Asia-US spot rates recorded by the SCFI crashed below a crucial psychological level this week, which does not augur well for carriers negotiating annual contract rates with BCOs. Rates from Asia to the US west coast fell below $1,000, slumping by 7% to $945 per 40ft, and for US east coast ports there was a 3.8% decline to $1,933 per 40ft. In comparison with 12 months ago, spot rates are significantly weaker: the SCFI reading for 24 March 2017 was $1,288 and $2,625 per 40ft for the US west and east coast ports respectively. However, according to freight rate benchmarking platform Xeneta, early indications from its crowd-sourced data suggests that some transpacific shippers have paid a premium on 2017 rates. But it added that shippers should be questioning their strategy in the light of the spot rate erosion. “Should they be finalising long-term contracts at a similar level to 2017, or perhaps slightly lower?” it asked. Meanwhile, BCOs may find that carriers become keen to nail down volume contracts in the light of the looming trade war between the US and China. In an endeavour to slash America’s $375bn annual trade deficit with China, President Donald Trump yesterday signed-off sweeping new tariff hikes on $60bn of hi-tech and high-end imports, targeting 1,300 separate Chinese-manufactured products. It is way too early to calculate the full impact on trade of the new import taxes, but it is likely that growth forecasts for the transpacific will need to be revised downwards. At the recent TPM conference in Long Beach, IHS Markit chief economist Nariman Behravesh identified US policy as one of the biggest risks to global trade expansion in 2018, with US president Donald Trump describing trade wars “a good thing and easy to win”.